The RunCam Swift 2 is the next generation of the successful RunCam Swift. This camera uses a high performance 1/3 Sony Super HAD II CCD 600TVL PAL camera with 2.3mm lens for exceptional clarity and resolution. It provided excellent picture quality in all light conditions. Wide Dynamic Range (WDR) and 2D Noise Reduction (2DNR) combine to give superb image clarity and definition. The RunCam Swift 2 has an even wider, 5 to 36 Volt, operating voltage than its predecessor making it even easier to use with any FPV vehicle. Setup is a breeze with the On Screen Display (OSD) and the provided 5D-OSD Menu cable with push button switch for ease of moving around the menu system. The package also includes an extra camera housing and aluminum mounting bracket. 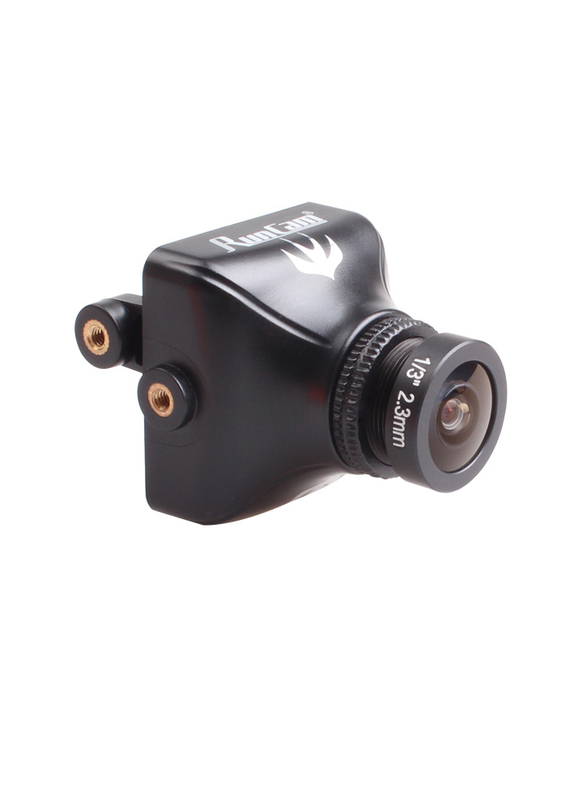 The RunCam Swift 2 will be an excellent addition to your FPV setup.